a-ha's debut album "Hunting High And Low" was re-released on clear vinyl LP in Europe on 3 July 2018. The cover is very similar to the original release other than the catalogue number and text in the bottom corner of the back sleeve. There is no suggestion that this is the remastered version as all copyright and publishing information relates to the original release. The colour of the sleeve differs being slightly more brown tone than the original. 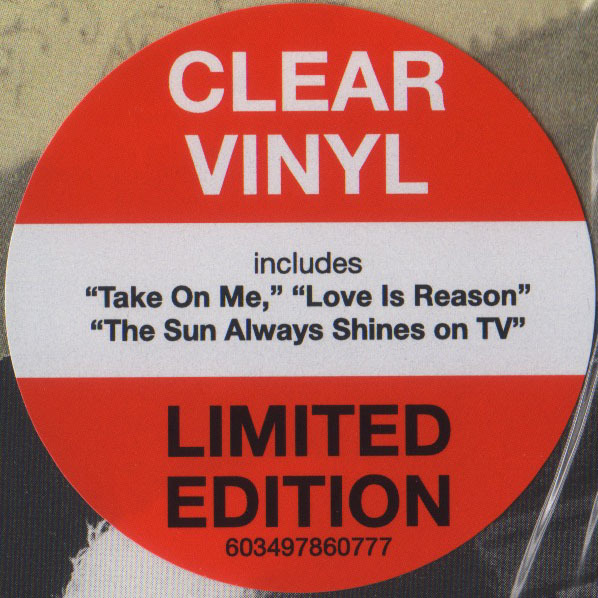 It comes with a circular orange sticker on the front which has the text "CLEAR VINYL" in white at the top and "LIMITED EDITION 603497860777" in black at the bottom. 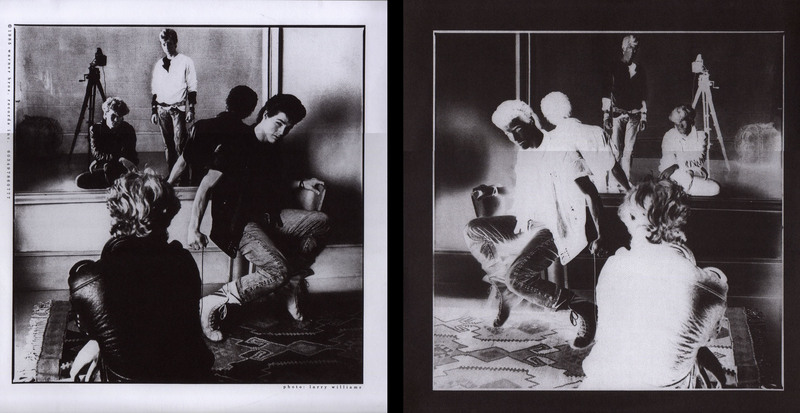 There is a white stripe across the middle wit the text: includes "Take On Me," "Love Is Reason" "The Sun Always Shines On TV"
The inner sleeve is also similar to the original, but has been printed on more quality paper. The record labels are again similar, excpet for the cataligue and manutacturing information. The discs are clear vinyl with white disc stickers. The disc stickers are similar to the original release with the coloured "WB" logo at the top and other text in black.